Paul Nyitrai, age 76, of Forked River died Sunday, March 31, 2019 surrounded by his loving family. Paul was the former Building Construction Official for Millburn Township and the former Code Enforcement Officer for Franklin Township. 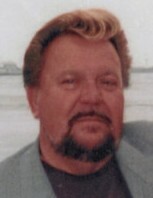 Paul was formerly of Somerset, NJ and Bayville before moving to Forked River, Lacey in 2003. He was an Army Veteran during the Vietnam War and a member of the American Legion of Barnegat and a parishioner of the Church of Saint Pius X. Surviving is his wife of 53 years Alice (Vasily) Nyitrai; his daughters and their husbands Nadine and Paul King of Toms River and Zsuzsanna and Eric Michael of Middlesex, his sister Emily Nash and brother in-law Brad of Hillsborough; three grandchildren Tyler, Hayley and Dalton.